Each year, 60,000 Americans are diagnosed with PD. It is estimated that by 2020, nearly 1 million people in the US will be living with Parkinson’s. Parkinson’s Diseases (PD) is a neurodegenerative disorder, which means a disease in which brain cells progressively die over time. Symptoms often start slowly and can include tremors, stiffness and slowing of movement, that worsen as the condition progresses over time. Other common symptoms include difficulty swallowing, speaking, cognitive changes, constipation and other non-movement related symptoms that affect quality of life. 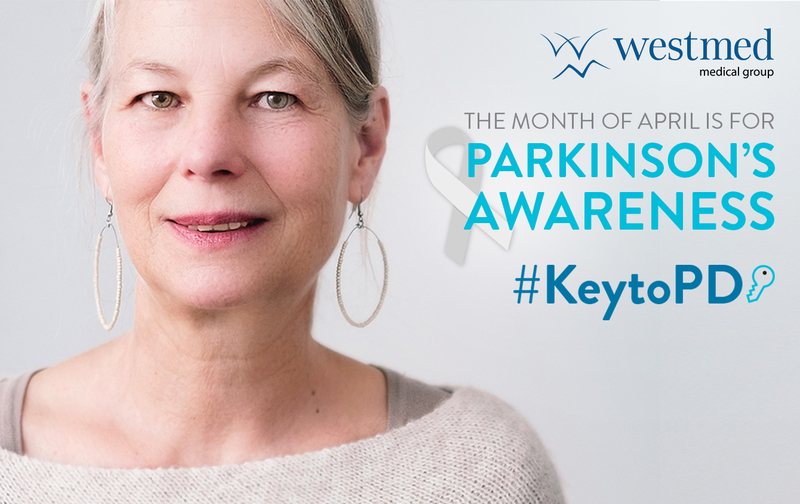 April is Parkinson’s Awareness month and Westmed is joining communities on social media who are sharing their #KeytoPD. What is a #KeytoPD? #KeytoPD are tips for the PD community to help make every day living easier. Dr. Cordelia Schwarz, neurologist at Westmed, shares some #KeytoPD tips to help people support those they know who are living with Parkinson’s. Exercise: Exercise holds benefits for people with Parkinson’s such as staying limber, improving balance and motor coordination. You can support your friend or loved one by being their exercise buddy and motivating them to stay active. Buy them a book: Books can improve memory and cause positive neurological changes that last even after you stop reading. Plan Ahead: before an outing help your friend or loved one feel more at ease by researching the amount of stairs they may have to climb during an outing. You should also plan for breaks to help them conserve energy. Something that may seem simple to you can be a barrier or deterrent to leaving the house for somebody living with Parkinson’s. Connect: Apathy and fatigue are common symptoms of Parkinson’s. Check in on your friend or loved one and show them you understand their condition. A simple phone call or visit can go a long way to improving their mood. Spread Awareness: Many people don’t understand Parkinson’s or its associated symptoms. Share information about Parkinson’s on social media and if you hear somebody asking questions or talking about it, don’t be afraid to share what you know to spread awareness. Go Shopping: Everybody needs to run errands but it’s exponentially more difficult for someone living with PD. If you’re planning an outing, you can check in and see if they need anything, or you can take some time out of your day to drive them to the store. Share a meal: Depending on the day, cooking can be a messy challenge. Have your friend or loved one over for dinner, take them out to eat or bring them something that is easy to heat up if they’re having a more difficult day. Talk: Everyone who has Parkinson’s exhibits different symptoms and has their own unique experience with it. Don’t be afraid to ask them questions, or check in. Their needs can vary day to day. For more information about Parkinson’s Disease or to book an appointment with an expert in Parkinson’s treatment, you can connect with a Westmed neurologist.